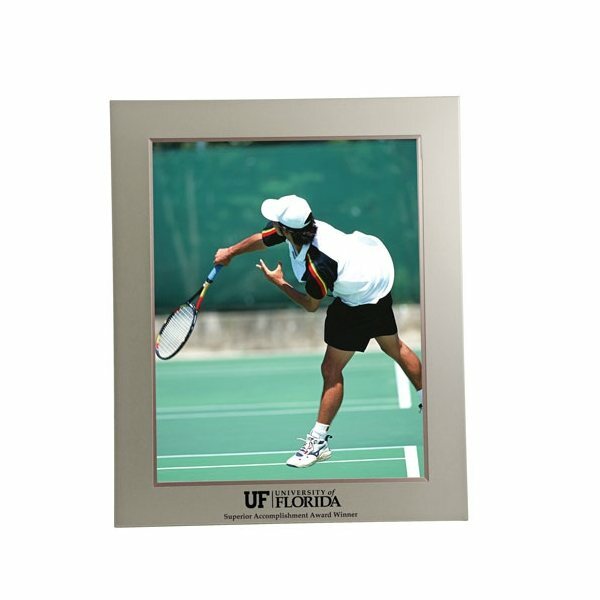 Metal Frame for 8x10 pictures in vertical or horizontal display. We'll certainly be using Anypromo with this next order! The order was shipped to us in a timely manner. Top printing quality was also great. the style is perfect. Just what I expected. Thanks.